Today was the date we committed to getting all of the Thanksgiving special shipments out, and our team did an amazing job to hit that goal. Here is what the mailman had to pick up today. Good work, I would love to see how you store all the cards. there is obviously a great stock management system in place to keep track of them all. Hope your getting your Postperson a little Christmas gift! Great work guys!!! 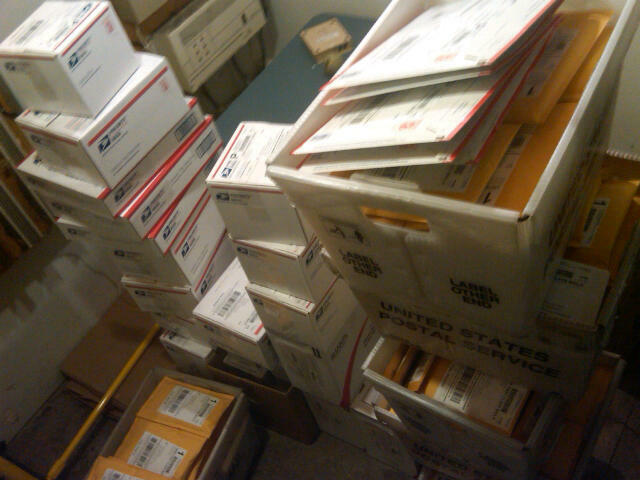 35,000 cards to pull, package and ship must have seemed like an insurmountable task. I was thrilled to get all four of my packages delivered on Thursday. Got one package on it’s way then come the new year i’ll be looking for more. Just a great site, a pleasure to use your site.